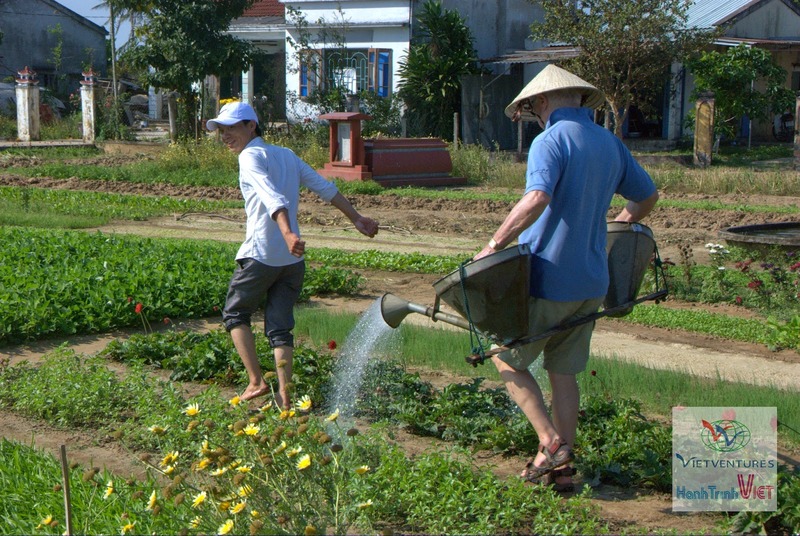 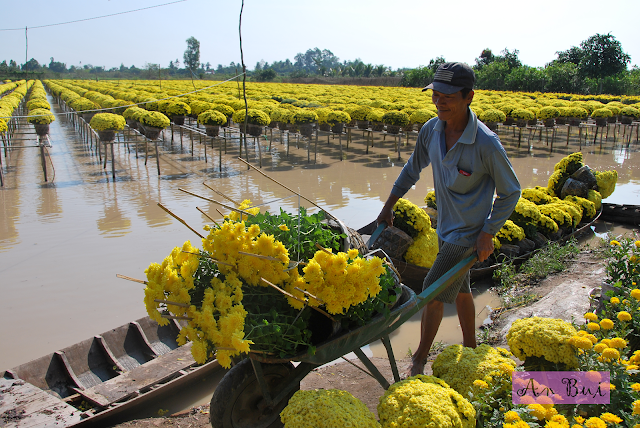 Welcome to agricultural lands, gentle and hospitable: Hoi An. 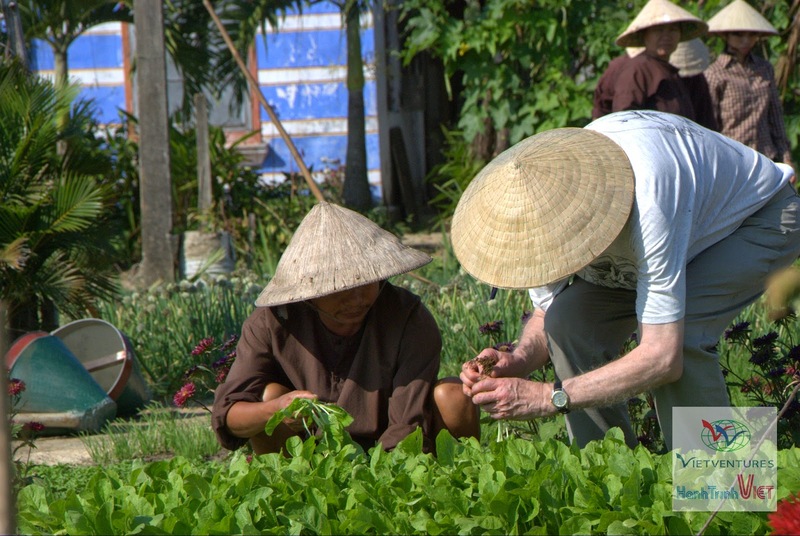 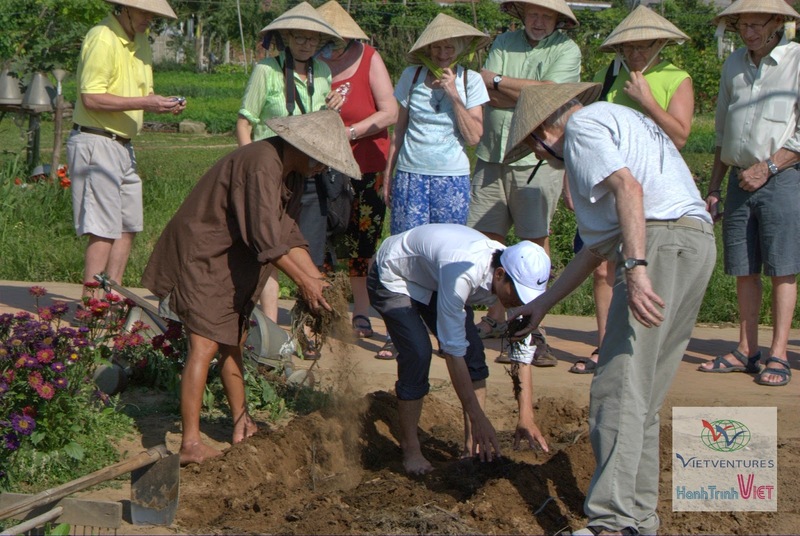 To learn more about the land and the indigenous people, by experience day tour as farmers here will make you feel excited with the new experience of the farming methods of the craft Vietnam was retransmit for a long time. 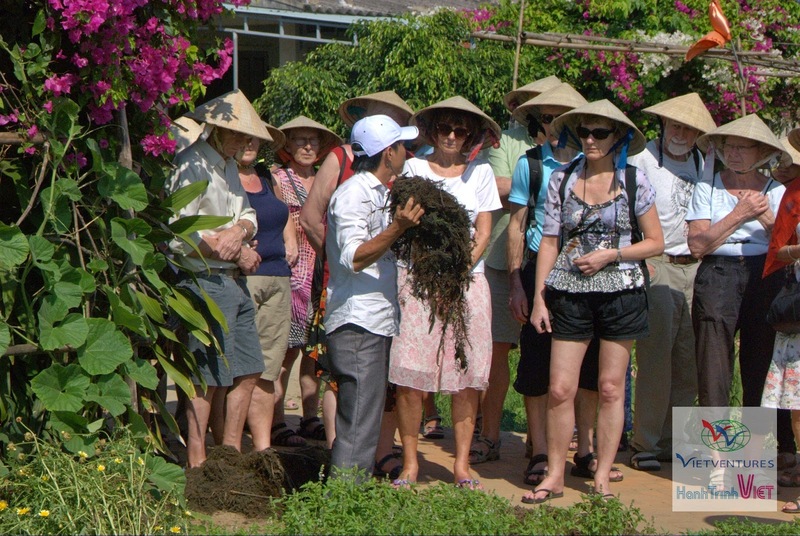 Guests stroll around the garden after a round to find out about the vegetables grown in popularity in the region will be presented on how to grow vegetables from local people from soil, fertilizer and irrigation water to inoculation. 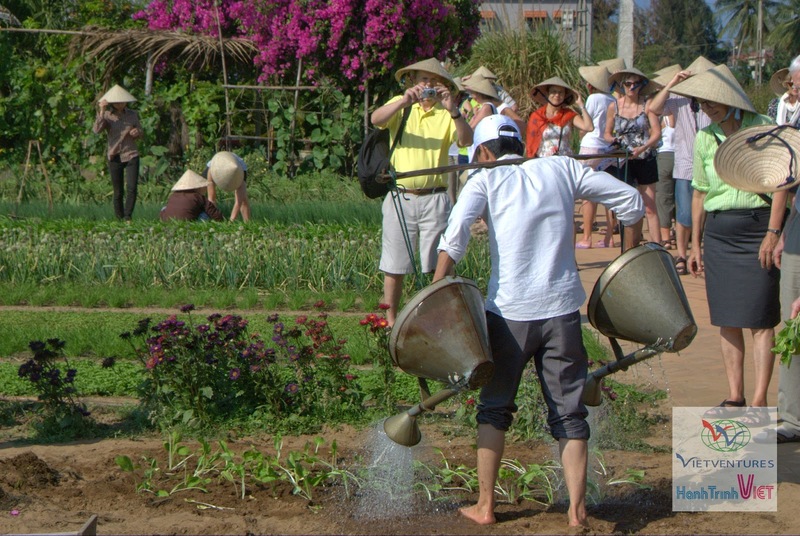 And visitors will be directly doing it as a real farmer, of course, their operation is a bit clumsy because of a little unfamiliar, and the end is always job cheery laugh though sweaty. 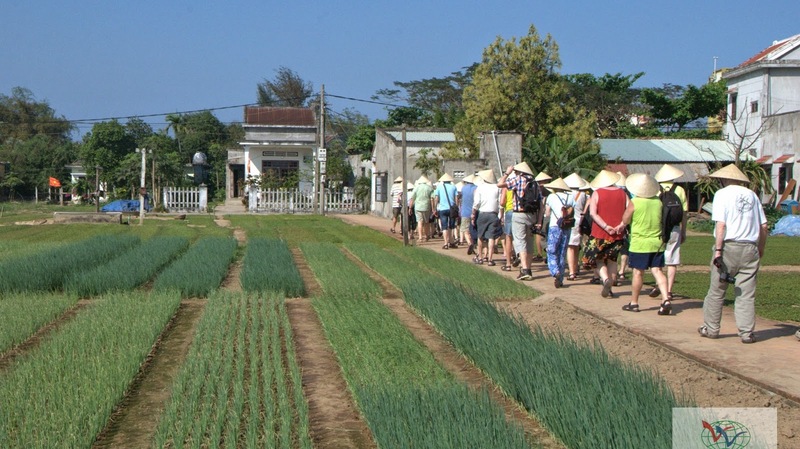 With the fairly detailed instructions, his witty Blessed - the local orientation in Tra Que vegetable village, which makes visitors feel very excited and willing to volunteer to try to make farmers even though they were quite older, most of which are already beyond 60. 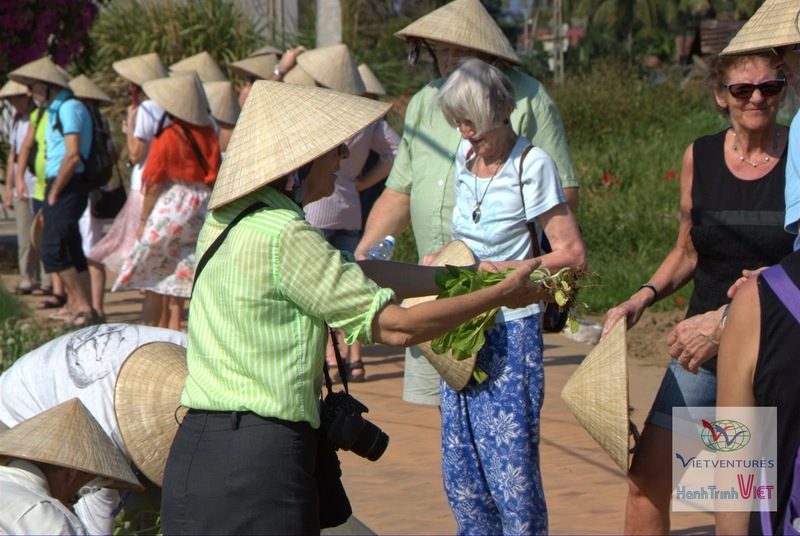 In the opinion from the tour leader of a Danish Tourist Group is featuring the album as shown below, the 15-day tour in Vietnam by our company organization, the guests feel the most comfortable and enjoy the Hoi An experience not to be forgotten.